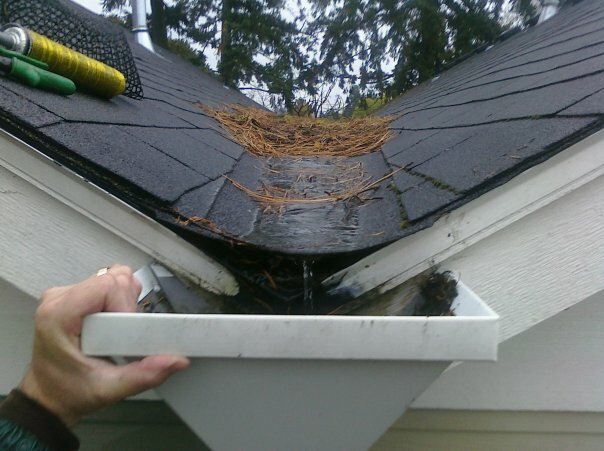 A common style gutter down spout used on todays Portland area row homes. High maintenance is what I think! This approximate 2500 square foot area of roof catches a lot of debris that leeds to this valley add a lot of rain and clogs happen quite easily.